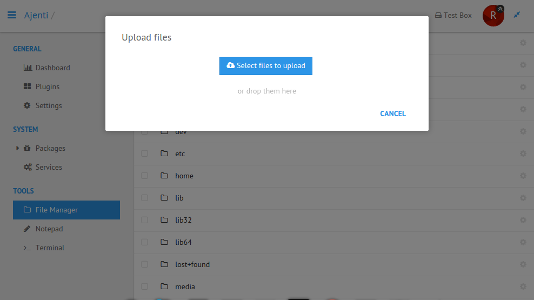 Install once and never google for PuTTY downloads again. 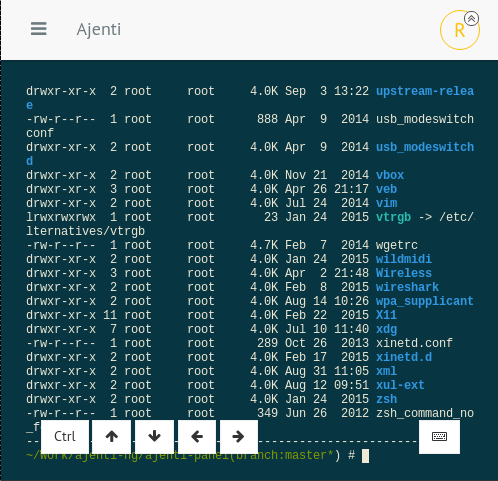 An admin's tool for a more civilized age, providing you with a fast and secure way to manage a remote Linux box at any time using everyday tools like a web terminal, text editor, file manager and others. Building network hardware? Computerized industrial appliances? A web-UI for coffee machines? 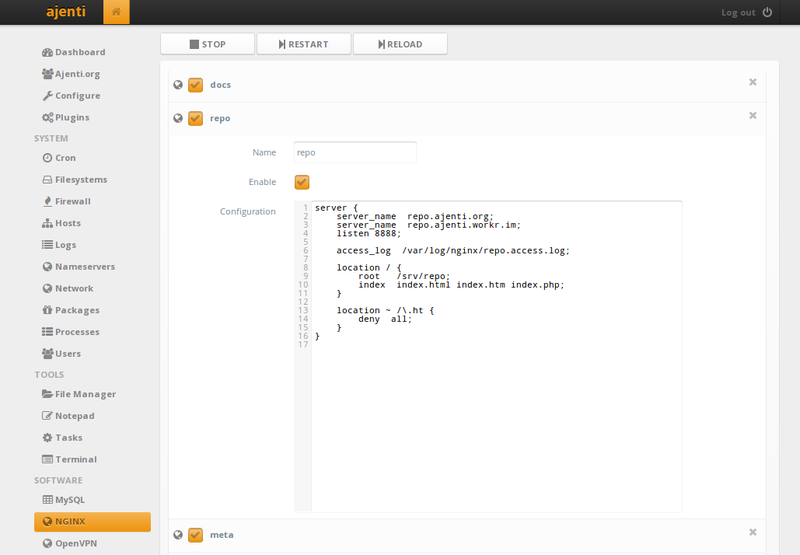 Ajenti Core is a streamlined and reusable framework for building web interfaces of all kinds. Ajenti Core is a highly modular and extensible framework. 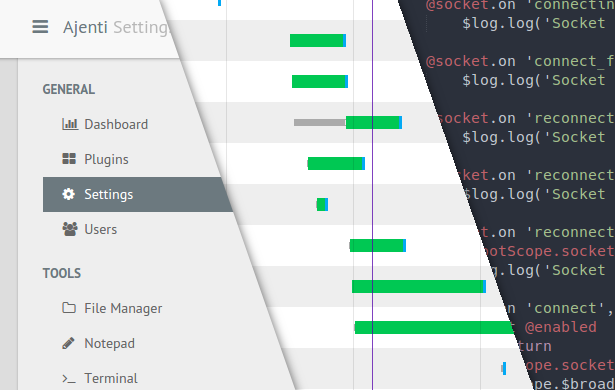 Ajenti Core gives you tools to build modern interfaces as fast as possible. actually making your product better. 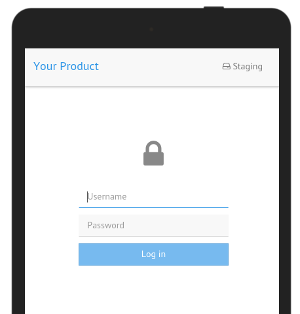 Stock remote APIs: account management, filesystema access, Augeas remoting. Includes lots of plugins for system and software configuration, monitoring and management. Ajenti won't damage your existing configuration or tell you how to do your job. Preserves config structure and comments. 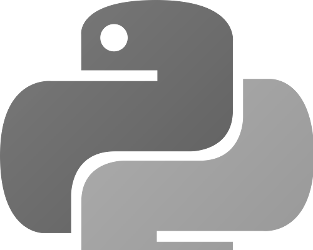 Easily extensible using Python. 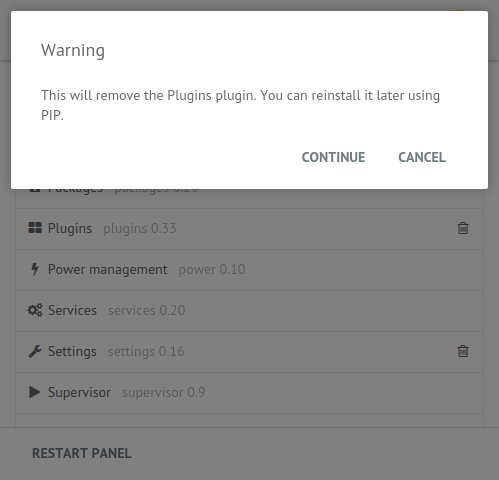 Plugin development is fast and pleasant with rich APIs. 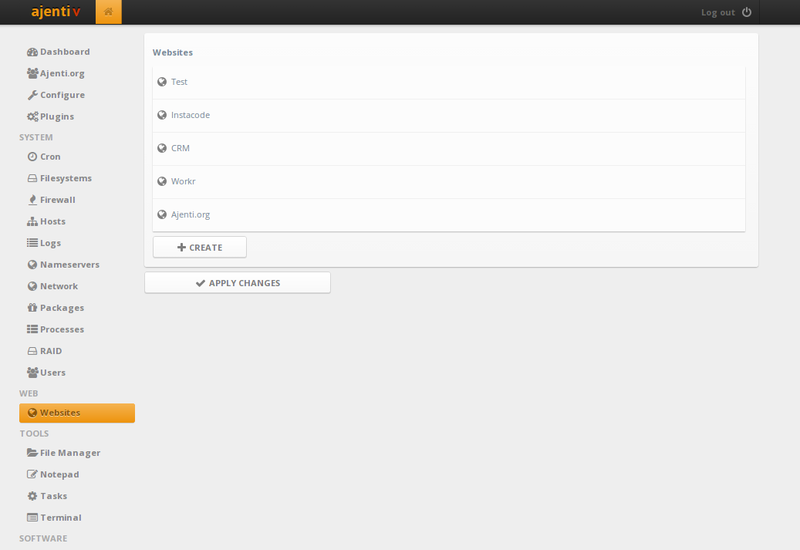 Looking for a web interface for your product? 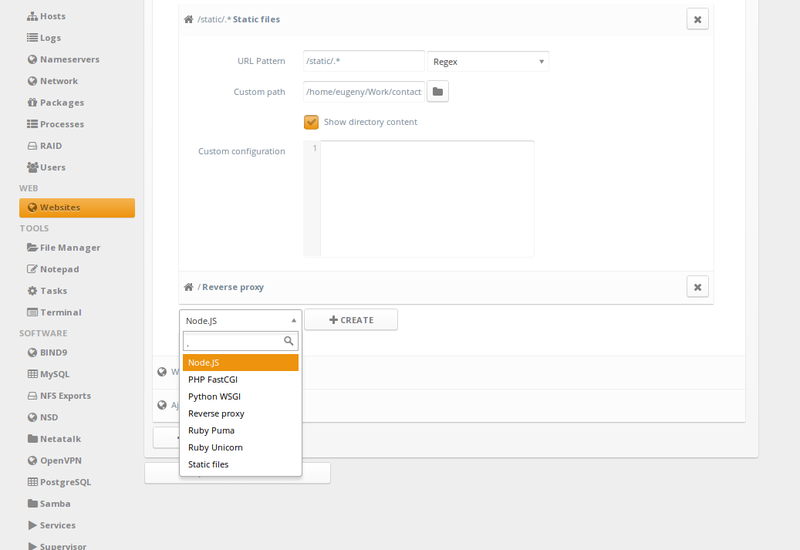 Ajenti V is a plugin suite for Ajenti 1.x, which adds fast, efficient and easy-to-setup web hosting capabilities. 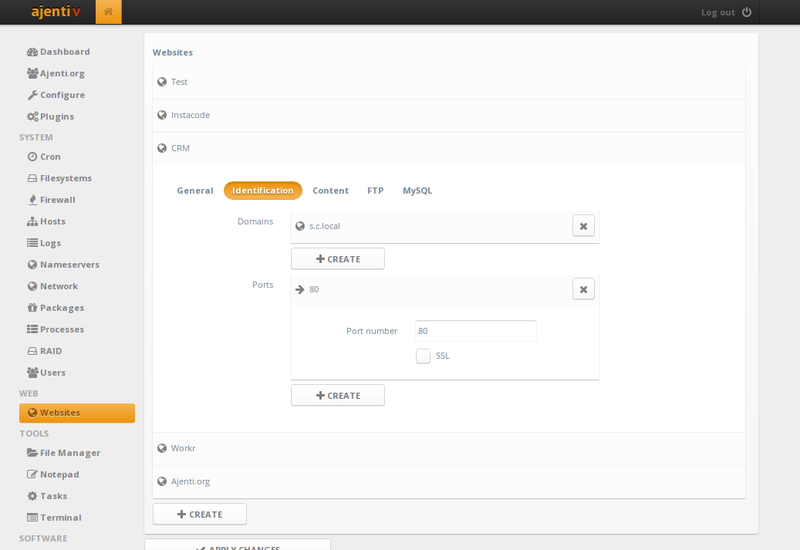 Ajenti V makes website setup easy - including app servers, database, and routing. PHP (PHP-FPM), Python (WSGI), Ruby (Puma and Unicorn) and Node.js are supported. 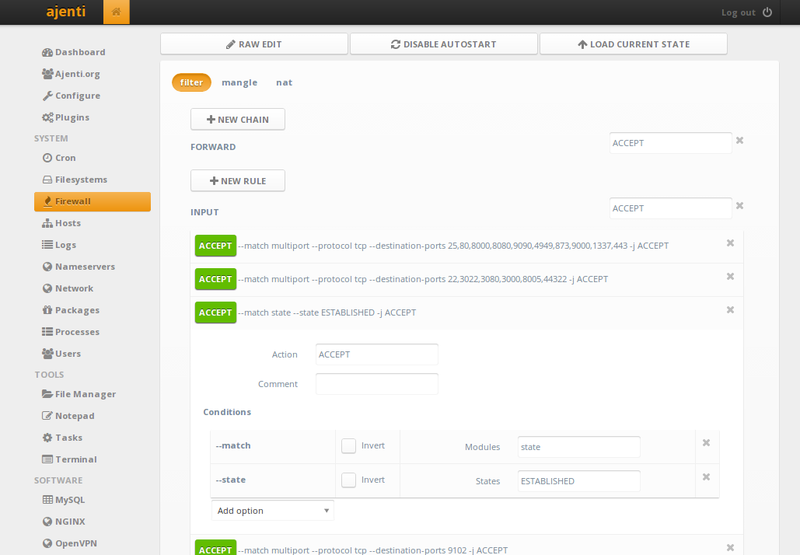 Automatic configuration of Exim 4 and Courier IMAP, including virtual e-mails, DKIM, DMARC and SPF. 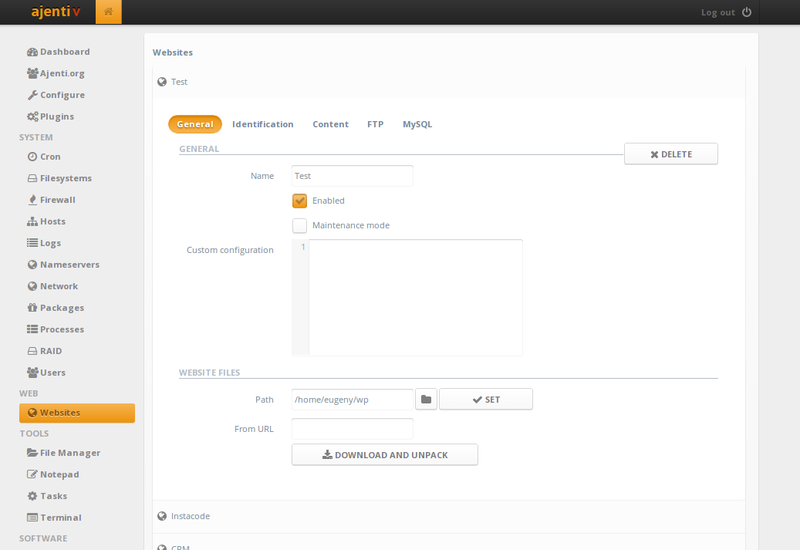 Includes tools for CLI control, deployment, and CI integration. At the moment, Ajenti V is a beta. for some time now, your mileage may vary. As an organisation anchored in academic/educational sector where funds are tight and thus offering the very best of what is available on commercial market is not always an option, we were more than delighted to discover Ajenti as a viable new alternative to existing commercial (Plesk, cPanel) and opensource solutions (e.g Webmin). Due to the nature of our VPS scheme, offering our users supported/managed VPS and thus limiting their administrative rights (absence of root privileges) on tasks like ownership and permission modification, editing apache virtual host rules etc., modular structure of Ajenti proved to be the answser to all our needs: allowing our users only limited administration options in a clear and logical graphical environment. Working with the Ajenti team through formal and informal channels was such a breeze. They were more than responsive, listened and implemented our numerous proposals which made Ajenti more suitable for our specific needs. 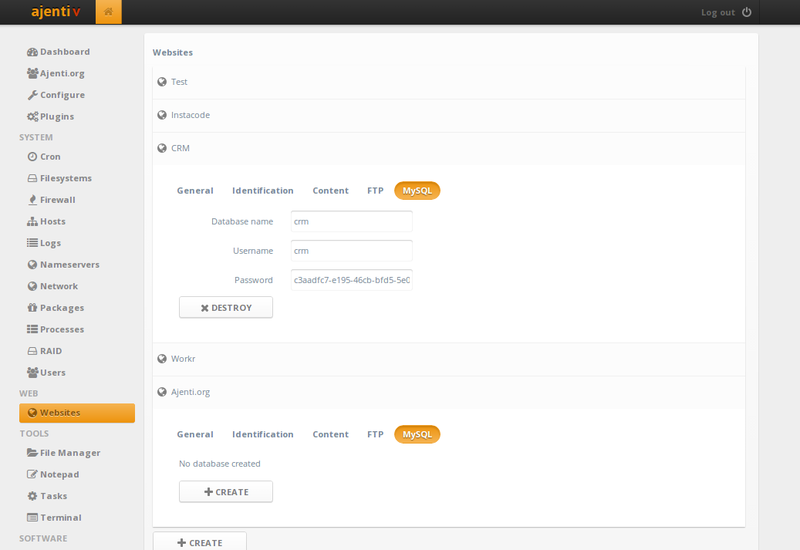 Now, Ajenti will become flagship feature of our new VPS package. The Academic and Research Network of Slovenia conducts development, operation and management of the communication and information network for education and research. ARNES also operates the Slovenian Internet Exchange. 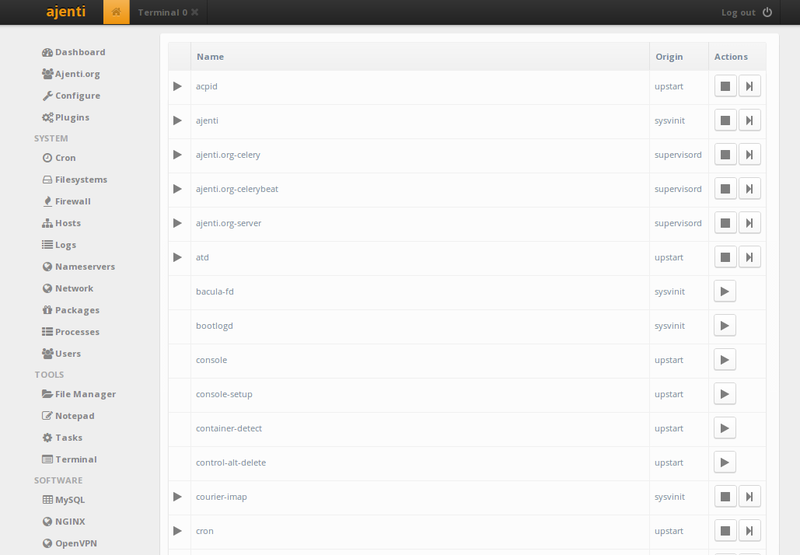 I got hand on experience on "Ajenti" for @ubuntu server administration. Even Ajenti's framework is good way coded. Ajenti isn't only for servers! We needed a simple-yet-powerful interface for administration of our free and open source turn-key web kiosk, Sanickiosk. Sanickiosk is used in public and business settings to provide open or filtered web browsing and digital signage. We required a solution that allowed for off-site administration of our kiosks, and considered Ajenti as well as several other admin panels. Sanickiosk uses a two-tier system for administration, with sysadmins having access to operating system and network settings and kiosk administrators (many with minimal technical knowledge) having only the ability to alter kiosk configuration settings such as the browser homepage and screensavers. With assistance from Ajenti's helpful and knowledgable team we were able to design our own custom plugins for Ajenti, providing our non-technical users with a simplified and unintimidating user interface while still providing our power users an interface containing the tools they require. 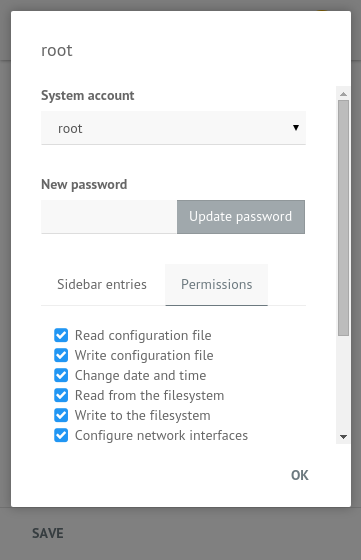 No other admin panel we considered was as flexible. We are pleased to utilize such an amazing product like Ajenti in such a fresh and radical new way. Sanickiosk is a free and open source turn-key web kiosk which can be used in public or business spaces to provide internet or intranet services. It can be used for open or filtered web browsing or for digital signage.